For sale: Used Alaska state ferry. Price now reduced to $700,000. It's a sale of epic proportions: The price of the M/V Taku, an Alaska state ferry docked in Ketchikan, has been reduced by more than half. Anyone hoping to own a ferry can now place a sealed bid on it for the low, low price of $700,000. That's after the state found no takers at the initial $1.5 million price tag. The state hopes the new price "will be more enticing to people that might be interested in owning a ferry," said Meadow Bailey, spokesperson for the Alaska Department of Transportation and Public Facilities. For more than 50 years, the Taku operated as part of the Alaska Marine Highway System. But the 352-foot-long ship designed to carry 350 passengers was deemed too costly to maintain and exceeded the needs of the ferry system, DOT wrote in a release. The state ferry has a fleet of 11 vessels, including the Taku. Two ferries under construction will come online in 2018. A replacement for the Tustumena, another state ferry vessel, is awaiting funding from the legislature. Before putting it out to bid, DOT approached other state agencies and local governments, offering to give them the ferry for free. "We didn't have any takers," Bailey said. So the state opened it to bidders at a minimum price of $1.5 million. The sealed bid sale opened March 11 and closed May 9. "We did not have any bids submitted by that deadline," Bailey said. So the price was slashed by $800,000, and the sale has been extended until May 31. The ferry, built in 1963 and taken out of service in June 2015, remains moored in Ketchikan, which costs about $100,000 annually. It's not staffed or heated. 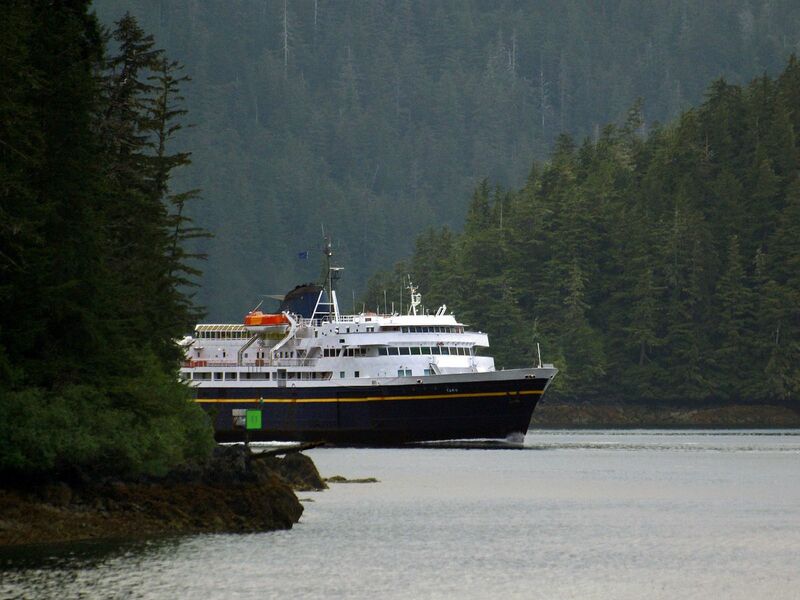 It is no longer being used to house ferry system employees who stop in Ketchikan, Bailey said. The ship is being sold "as is." The last ferry sold by the state, the 193-foot-long Bartlett, went for $390,000 on Ebay in 2003, the Juneau Empire reported in March. Bailey said it was too early to say whether the Taku would end up on the online bidding site. "After May 31, we'll re-evaluate where we're at," Bailey said. Correction: An earlier version of this story said that the Tustumena will be replaced by one of two ferries currently under construction; funding for the Tustumena replacement still needs to be secured by the legislature.